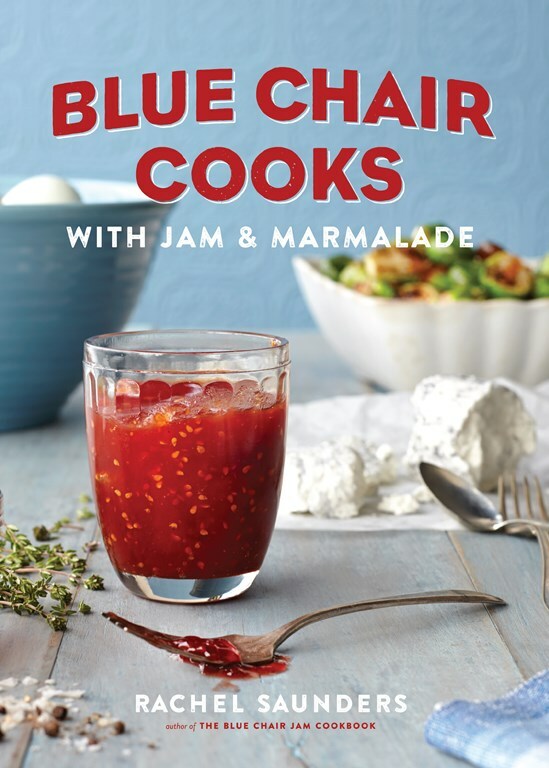 Blue Chair Cooks with Jam & Marmalade is not only a comprehensive manifesto for cooking and baking with preserves, but also an exciting exploration of flavors and ingredients through 150 original recipes ranging from omelettes to ice creams. Building on the success of her James Beard Award-nominated Blue Chair Jam Cookbook , Rachel Saunders’ Blue Chair Cooks with Jam & Marmalade is the definitive modern guide to using preserves in the kitchen. Far from merely a narrow look at obvious ways to incorporate jam, Blue Chair Cooks with Jam & Marmalade is a rich and wide-ranging general cookbook for every day. Organized by time of day, Rachel’s recipes are nuanced and unusual and cover the broadest possible array of techniques and ideas. Rachel both includes and transcends such jam-filled classics as Victoria Sandwich and Classic Jelly Roll to reveal an entire world of tempting sweet and savory possibilities. Blue Chair Cooks with Jam & Marmalade explores not only breakfast and tea time, but also numerous savory lunch and dinner options, including sausages, soups, salads, hors d’oeuvres, and paella. With over 150 recipes ranging from Fruited Irish Brown Bread to Brussels Sprouts with Kumquats & Smoked Salt to Poppy Seed-Cocao Nib Torte, this much-anticipated sequel to the classic Blue Chair Jam Cookbook is sure to occupy a special place in your kitchen. Reprinted with permission from Blue Chair Cooks with Jam & Marmalade by Rachel Saunders, ©2014. Photos by Sara Remington. Published by Andrews McMeel LLC. Please support your local bookshop or purchase through our affiliate links with IndieBound and Amazon. All photographs by Sara Remington. Combine the vinegar, sugar, salt and red pepper flakes in a small saucepan. Whisk together until the sugar is dissolved and simmer over medium-high heat until the liquid is reduced and syrupy, 8-12 minutes. Add the kumquats and simmer until the mixture is thick and syrupy and coats the back of a spoon. Recipe yields three cups. This extraordinary juxtaposition of flavors and textures is an irresistible crowd-pleaser. Browned Brussels sprouts, just starting to fall apart, plus chewy candied kumquats and smoked salt, all set against a rich background of bacon: Need I say more? Melt the bacon fat in a shallow 12-inch enameled cast-iron pan over low heat. Add the Brussels sprouts, toss well, and cover. Allow the sprouts to cook without stirring for 5 to 6 minutes, and then toss well. Re-cover and continue cooking the sprouts, tossing every few minutes, until the sprouts are tender and browned, another 8 to 9 minutes. Immediately remove from the heat and add the marmalade and salt. Toss well, taste for seasoning, and serve at once. On the years when my husband and I have Christmas at home, this is the wine I make for us on the happy evening we spend together decorating our tree. The recipe is a winter classic, with about a million variations. Its essential elements are red wine, vodka, plums, almonds, and cardamom, and its distinctively rich character sets it apart from other mulled wines. Place the cardamom, cloves, aniseeds, cinnamon, and orange zest in a small stainless-steel tea infuser with a firm latch or in a small cheesecloth bag. Place the infuser in a small bowl or cup. Bring 1⁄3 cup water to a boil and immediately pour it over the spices. Cover tightly and let steep for 10 minutes. Transfer the infuser with its liquid to a medium saucepan. Add the raisins, jam, red wine, port, and vodka and bring the mixture just to a boil over high heat. Immediately turn off the heat, cover, and let the mixture cool to room temperature. Place the glogg in the refrigerator to chill overnight. When ready to serve, strain the glogg through a fine-mesh sieve into a clean saucepan. Discard the spices and solids. Heat the glogg gently until just steaming. Carefully taste, adding a little sugar if needed. 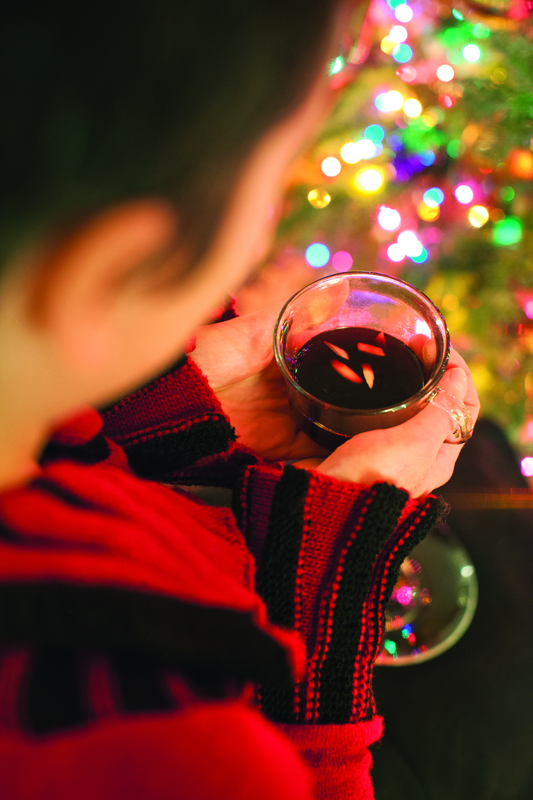 Place a few almond slivers in each heatproof glass or mug and fill with the spiced wine. 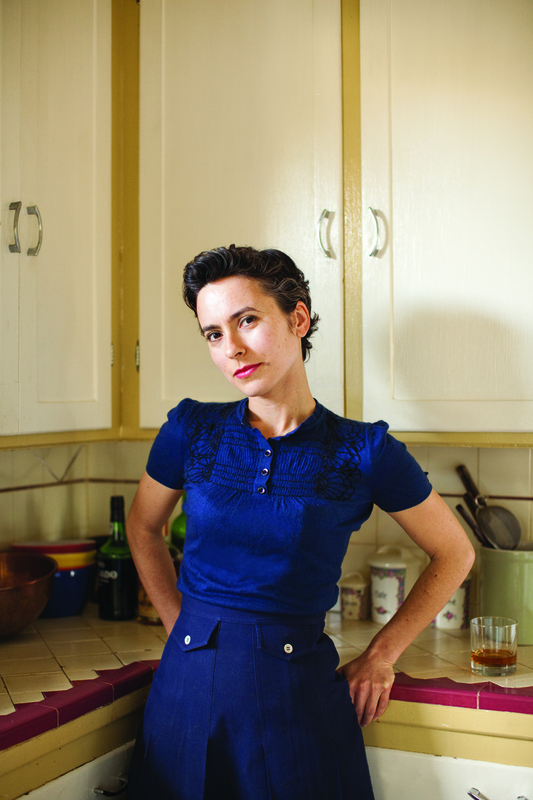 Rachel Saunders is the owner and founder of Blue Chair Fruit Company and the author of the James Beard Award-nominated Blue Chair Jam Cookbook, which is widely regarded as the definitive modern work on preserving. A much sought-after teacher and jam and marmalade expert, Rachel offers classes regularly both in the US and abroad and also offers a streamable online class, Jam & Marmalade the Blue Chair Way. A native of New York State, Rachel studied France and the French language at Smith College and La Sorbonne Paris IV, receiving her degree from Smith at age 20. She lives with her husband in Oakland, CA. 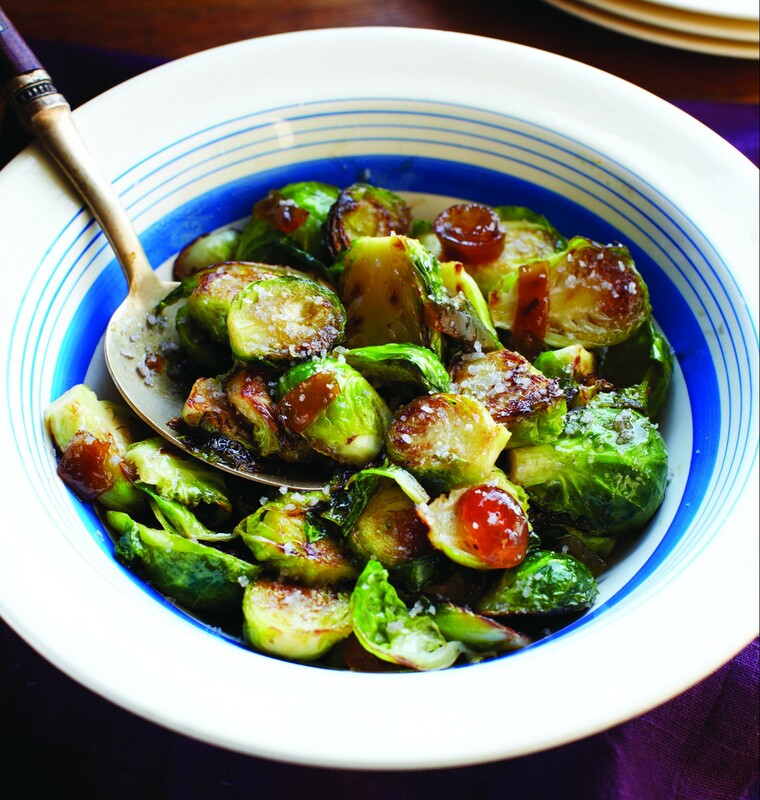 This entry was posted in Eat and tagged Blue Chair Cooks with Jam & Marmalade, brussels sprouts, Eat, kumquats, Rachel Saunders, Sara Remington, Swedish glogg. Bookmark the permalink.